I'm creating a small minecraft mod, which implements road blocks in the game. 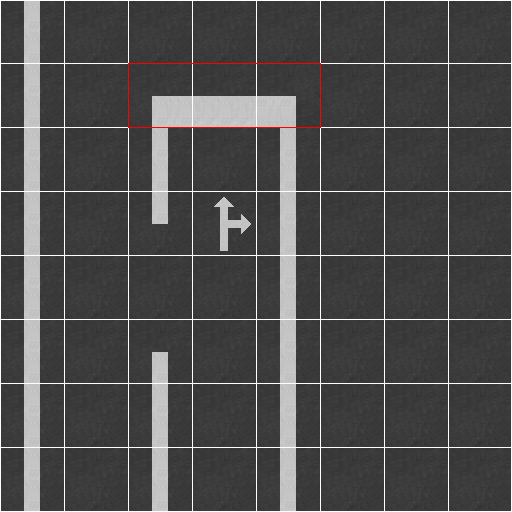 I created a Block called Road Stop Line, which should look like the red marked ones in Picture 1. It should work the same as fences do. It detects if another Block of the Same type is next to it, and changes the texture accordingly. I've already did this with the normal road blocks which have a single line, so I know it works. The only difference is, that for the stop line block the Facing of the block is also important. So I tried to tell it whenever on the left or the right side there is another stop line block, its texture should change like in picture 1. If someone knows where the error is in this Blockstate file, then please tell me how to fix it.